Home Top Hits Kartik breaks out Goenka’s truth to Naira in Yeh Rishta…. 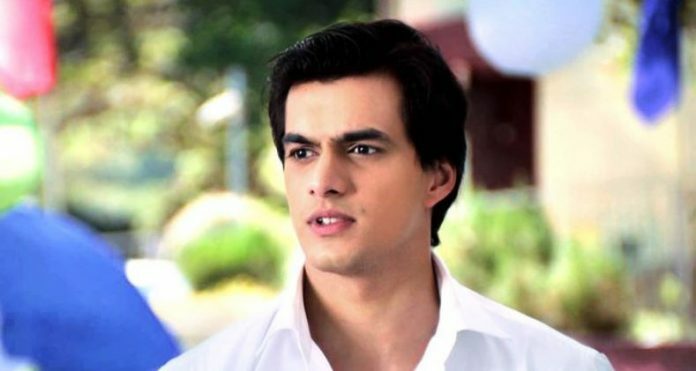 Kartik breaks out Goenka’s truth to Naira in Yeh Rishta…. Kartik makes a small sweet home. He brings Naira to give her surprise. Naira gets emotional seeing the beautiful house. He asks her opinion on it. She says its cute, but it’s very small. He says I do a small job and my salary is less, I will buy bigger house after some time. Naira gets glad knowing Kartik has bought this house for them by his hard-earned savings. Naira praises the house and finds a romantic coffee corner place in the house. Naira does not want Kartik to leave his house. 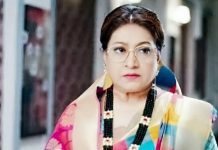 She wants to unite Kartik with Goenka family. Kartik has taken the flat to stay with Naira after marriage. Kartik wants to live separately and tells Naira that Goenkas are very bad and they can’t stay with them. Kartik tells the reason why he hates Goenkas. He gets hurt and feels painful to tell Naira that Manish and Suwarna are responsible for his mother’s death. Naira can’t see Kartik in pain and hugs him. Kartik says this is the reason why I left home and now I don’t want to stay back with them. Naira consoles Kartik. Kartik cries recalling his mother and his childhood, which spoiled because of Suwarna. Naira gets Suwarna’s call. Suwarna asks her to come and meet at temple. Naira goes to temple to meet Suwarna. Suwarna requests Naira to convince Kartik to stay back at home. She tells Naira that Kartik has misunderstanding in mind, and Manish loves him a lot. Suwarna and Kartik will tell Naira about the situation in past and how his mother died. Suwarna knows Kartik will definitely listen to Naira. She asks Naira to make Kartik stay with Goenkas. Naira will solve their complicated lives. Naira wants everyone to stay happy. Kartik and Naira are getting married soon. Kartik tells Naira about his dreams where he romances with her. He described his cute dreams. Naira recreates his dreams to celebrate their love union. Naira does snow setup like of Switzerland. Kaira’s romance will be seen. They celebrate in real sequence similar to Kartik’s dreams. Naira and Kartik dance on the old retro songs. The family sings Sone chudiya, as Naira will be leaving from their home, and stepping in a new life. Naira and Kartik promise to be together all life. The marriage talks created problems between both families. Everyone is happy now and looking forward for Naira and Kartik’s marriage. Naitik gets emotional thinking Naira will be going away from family, while Naira misses Akshara in this big phase of her life.